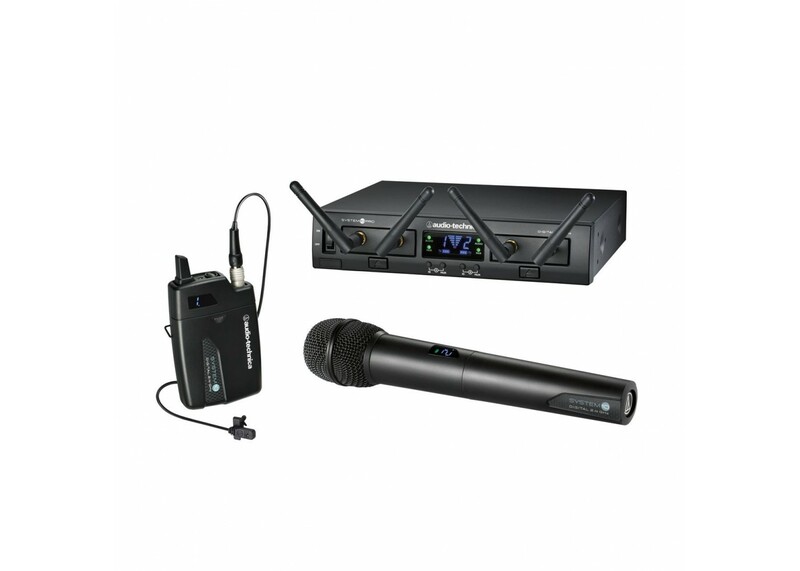 ATW-RC13 Rack-mount receiver chassis, ATW-RU13x2 receiver unit, ATW-T1002 handheld dynamic unidirectional microphone/transmitter and ATW-T1001 UniPak® transmitter with MT830cW lavalier microphone. Audio Technica ATW-1101-L Digital Wireless Lavalie.. Audio Technica ATW-1102 Digital Wireless Microphon.. 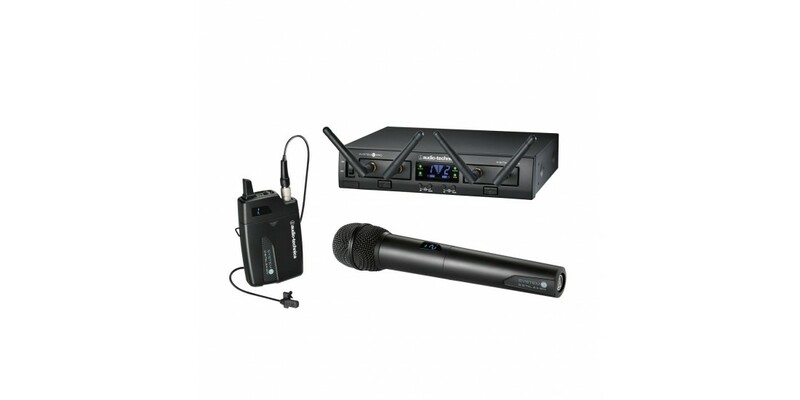 Audio Technica ATW-902 Wireless Microphone System.. Audio Technica System 10 Pro Dual Digital Wireless..